Lantek, a global leader in the development and sale of CAD/CAM/MES/ERP software solutions for the metal industry, has successfully brought its technology to our homes after its application in the manufacture of metal furniture and home appliances. Its groundbreaking technology is used by cutting-edge companies in this sector. 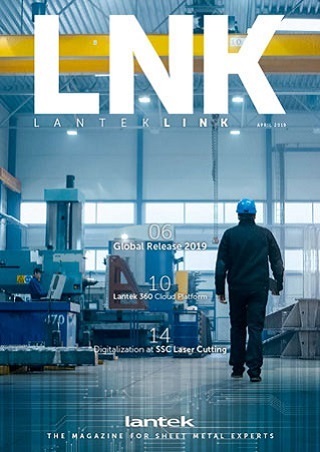 For years, many Spanish firms have chosen Lantek´s software solutions in order to maximize the profitability of the design, nesting and sheet metal machining processes for building stoves, washers, dishwashers, ovens or industrial machinery for the food industry. 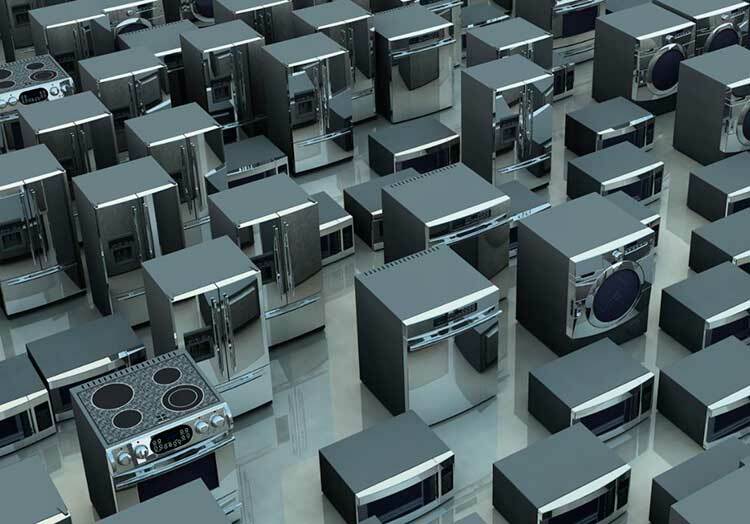 These appliances are then exported all over the world and used not just in homes, but also in hotels, restaurants, schools and government facilities of countries as far away as Kuwait, New Zealand, Cuba or Sudan, among others. Other companies in the sector benefit from the research Lantek has conducted in the last 29 years to develop software designed to compile data spanning the entire production process. The data charts the condition of the product manufactured, labor, materials, machinery and tools. One example is Lantek Wos, designed specifically to meet the needs of companies that work with sheet metal. It provides control over the entire production process using a system updated with data validated in real time from the factory. This software can be installed on one computer. It not only offers options for selecting different machine tools and production facilities, but also allows users to communicate remotely and control machines in the factory. This is just one of the solutions Lantek offers to metal furniture and appliance manufacturing companies to accelerate production processes, making them more effective and streamlined. Companies that design, manufacture, and sell neutral and hot items for the hostelry and food sectors benefit from the Lantek Manager system, which simplifies and streamlines all production processes, optimizing costs and delivery deadlines as much as possible. This technology displays a factory´s workload and also provides a flexible way to modify the tasks assigned, thus optimizing the use of machines, operators, and subcontracting centers, among other aspects. One of its main advantages is that users can reserve materials for a specific project or prioritize certain tasks from a single office, thereby reducing product delivery times. Another technology used by various international firms is the software called Lantek Expert Punch, which automates CNC punching machine programming. This makes it possible to produce modern furniture at competitive prices and with perfect finishes without sacrificing its design. Companies that manufacture metal furniture and home appliances, some with 40 years of experience manufacturing kitchen appliances for Spain and various European countries, also benefit from the most advanced software system for sheet metal and heavy plate manufacturing with plasma cutters. This software is called Lantek Expert Cut. This tool automates the programing of plasma cutters, oxy-fuel cutting machines, laser cutters, and waterjet cutting machines. This powerful tool prevents unwanted behavior during actual operation. Another tool, which the companies of this sector rely on, is called Lantek Flex3d Addins. The software makes the three dimensional design of any piece easy. It allows users to start from a solid base and add different faces, with the option to change their dimensions, until the piece´s design is complete. These competitive advantages have positioned Lantek as one of the top suppliers in the metal furniture and home appliances industry, where, as in any sector, speed, precision, and technological solutions that are fully adaptable to production processes are crucial. Lantek provides software solutions CAD/CAM/MES/ERP for companies fabricating sheet metal, tubes, and beams with any cutting (laser, plasma, oxy-cut, water jet, shear) and punching technology. Lantek integrates the most advanced nesting software in the industry with the highest standards in manufacturing management solutions. Its capacity for innovation and its firm commitment to internationalization and emerging markets have led Lantek, founded in 1986 in the Basque Country and with central offices in Vitoria-Gasteiz (Alava), to devise a global-local strategy, which has meant it has become a global reference within the industry with its CAD/CAM/MES/ERP solutions. Today, the company has over 15,000 customers in over 100 countries and its own offices in 15 countries, in addition to an extensive network of distributors that are present throughout the world.